The ultimate test of any commandment is the law of love. he Bible is God’s inspired Word, and it is relevant for every culture in every age. The apostle Paul tells us the Bible is useful for “teaching, for reproof, for correction, for training in righteousness” (2 Timothy 3:16 NASB). Therefore, the Bible teaches us right from wrong, good from evil, and holy from unholy. The psalmist writes, “Your word is a lamp to my feet and a light to my path” (119:105 NKJV). Although all Christians agree the Bible is our source for moral guidance, we do not all agree on which commands of the Bible are timeless laws and which commands apply only to a specific cultural context. The Bible was written within certain cultures, but some ancient cultural practices are not necessarily requirements for us today. For example, are we required to greet each other “with a holy kiss” (Romans 16:16)? Should women be forbidden to wear pearls (1 Timothy 2:9)? Are all men required to lift their hands when they pray (v. 8)? The cultural gap became clearer for me when I was invited to teach at the Church of God Bible college in Seoul, South Korea. I experienced a dramatic culture shock. The social customs were different from those in America. The food was different; the language was different. Even the worship services were different. Everyone removed their shoes when they entered the church, and put on house slippers. I preached in house slippers! Furthermore, the Korean manner of prayer was much quieter than what I was used to in American churches. The culture gap I experienced in Korea is similar to the culture gap that exists between the Bible and contemporary society—different languages, different foods, different social customs, different governments, different traditions, and different lifestyles. Sadly, some people today are using that cultural gap to undermine Biblical morality. A large segment of American society has decided that Biblical morals are no longer relevant. We are like the Israelites in the time of the judges, when “everyone did what was right in his own eyes” (Judges 21:25 NKJV). One evening of watching television will reveal that lying, drunkenness, promiscuity, adultery, pride, envy, and greed have become acceptable behavior. However, the Bible teaches that these actions and attitudes are sinful in any culture and in any age. These sins must not be practiced by the followers of Jesus Christ (Galatians 5:19-21). The task of the Church is to apply the teachings of Scripture to each succeeding generation. That means we must be able to discern which parts of the Bible are timeless commands and which parts are temporary cultural practices. According to Jesus, all of God’s moral law is summarized in two great commandments: (1) “You shall love the Lord your God with all your heart, with all your soul, and with all your mind,” and (2) “You shall love your neighbor as yourself” (Matthew 22:37-39 NKJV; see also Deuteronomy 6:5; Leviticus 19:18). These two great commandments are expanded further in the Ten Commandments (Exodus 20:1-17). God also gave to Israel a series of additional laws that applied the Ten Commandments to Israel’s cultural context. The Biblical stories, prophecies, and New Testament letters are examples of how God’s people applied God’s moral laws to their unique situations. For example, the Corinthian church faced particular moral challenges that were different from those found in the Philippian church. The apostle Paul addressed the moral issues of each church from the perspective of the Ten Commandments. As we study these Biblical examples, our moral conscience is shaped and formed so we can discern right from wrong. However, the question still remains: How do we determine which Biblical commands apply to us, and which are limited to their historical context? I suggest seven guidelines to help us judge which Biblical commands are eternal and which are temporary. The Old Testament ceremonial laws are no longer in force. Although Christianity arose from Judaism, certain Old Testament commands are not binding upon Christians (Galatians 6:15; Colossians 2:11). 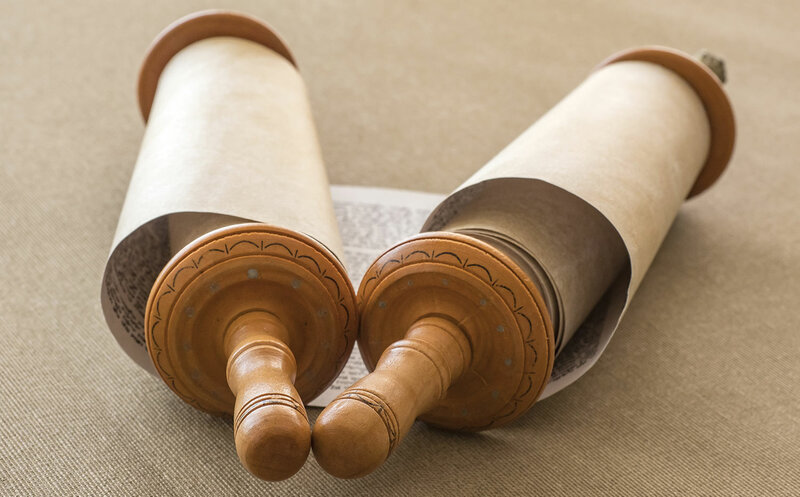 For example, the sacrifices, circumcision, the Sabbath day, and food laws are part of the ritual law from the old covenant that was fulfilled in Jesus Christ. The apostles and other church leaders met in Jerusalem and decided, with the guidance of the Holy Spirit, that it was not necessary for Christians to observe “the law of Moses” (Acts 15:5-29). The decision of the Jerusalem Council is confirmed by the Book of Hebrews, which declares that the old covenant has passed away, and been replaced by the new covenant (8:13). Therefore, it is no longer necessary for believers to keep the Old Testament ceremonial laws because they have been fulfilled in Christ. They are the “shadow,” but Christ is the “reality” (see Hebrews 10:1). God’s moral laws are universal and permanent. God’s permanent moral laws are summarized in the Ten Commandments. Although Christians are not “under the Law” as a means of salvation, we are still required to live righteously (Romans 6) and to keep God’s commandments (1 John 5:2). The New Testament instructs believers to obey the Ten Commandments, and any Biblical command that is derived from the Ten Commandments must be followed today (except for the commandment to keep the Sabbath day, which is the only one of the Ten Commandments not repeated in the New Testament; see Romans 14:5-6; Colossians 2:16-17). Permanent moral laws have a consistent Biblical witness. Whenever we read a command in the Bible, we can ask if that command is consistent throughout the Bible. If not, then it is probably a culturally limited command. For example, the command of Jesus, “Sell all your possessions and give the money to the poor” (Matthew 19:21 NLT), is directed only to one individual. It is not found elsewhere in Scripture. Paul’s instruction that single people should remain unmarried (1 Corinthians 7:8) does not correspond to other Biblical teaching on marriage and is valid only in the specific situation of the Corinthian church. However, the command to avoid sexual immorality is consistent throughout Scripture; therefore, it is a timeless moral law. Jesus Christ is our model. He lived as our example, that we “should follow [in] his steps” (1 Peter 2:21; see John 13:15). The more we study the life of Jesus and His teachings, the more we can become like Him. As we seek to know and love Jesus, we will be increasingly able to imitate His example. Jesus taught that genuine morality is deeper than just obedience to a list of rules; it comes from attitudes of the heart. Therefore, not only is adultery a sin, but lustful thoughts are also sinful (Matthew 5:28). Not only is murder a sin, but hatred is also sinful (1 John 3:15). God has given us His Word and His Spirit to lead us into truth. The Christian community helps us to distinguish between the timeless and the temporary. If the Church throughout history has held consistently to a certain moral position, then that position is probably legitimate. Furthermore, whenever we are struggling with a moral dilemma, we should consult with other Christians and prayerfully discuss the issues (see Acts 15). The Holy Spirit aids our discernment of right and wrong. Jesus promised, “When He, the Spirit of truth, has come, He will guide you into all truth” (John 16:13 NKJV). The decision of the Jerusalem Council is confirmed by James’ statement, “For it seemed good to the Holy Ghost” (Acts 15:28). Moreover, our ability to know right from wrong is sharpened as we continue to live in obedience. Thus, Paul declared, “Walk in the Spirit, and you shall not fulfill the lust of the flesh” (Galatians 5:16 NKJV). The closer we are to God, the easier it is to understand the moral laws; but people who are living in disobedience will find it difficult to grasp the commandments of God. According to Jesus, a willing heart leads to understanding. He said that whoever wants to do God’s will “shall know concerning the doctrine, whether it is from God” (John 7:17 NKJV). Those who wish to justify their immoral behavior by appealing to cultural context are unable to know the truth (2 Timothy 3:7). As stated earlier, Jesus explained that all of God’s timeless moral laws are commandments to love. Whenever we read a Biblical command, we must ask how it expresses love for God and/or love for neighbor. For example, we can easily see how the commands of Paul to the Colossians are expressions of love that apply to us today. Paul writes, “Put off all these: anger, wrath, malice, blasphemy, filthy language out of your mouth. Do not lie to one another. . . . Put on tender mercies, kindness, humility, meekness, longsuffering; bearing with one another, and forgiving one another. . . . But above all these things put on love, which is the bond of perfection” (Colossians 3:9, 12-14 NKJV). I realize these guidelines do not answer every question, and they do not solve every problem. However, God has given us His Word and His Spirit to lead us into truth. It is important that we walk in the light God has given to us (1 John 1:7). Where God’s moral law is clear, we should stand firm; and where we find some uncertainty, we must follow Paul’s advice to let each person have their own convictions (Romans 14:5-23). Lee Roy Martin is professor of Old Testament and Biblical languages at the Pentecostal Theological Seminary in Cleveland, Tennessee.